CW: Could you tell me how you got involved in radical organizing and what kind of organizing you’ve done? Claudia: I got involved in radical organizing when I was a teenager, above all after the experiences we had in Mexico with the Zapatista movement and then Genoa in 2001 [G8 protests]. Inside the proliferation of radical organizing in the so-called noglobal movement, I became part of a collective that since 2001 defined the concept of “living knowledge” as a theoretical tool to analyze the transformation of labor and knowledge production [see De Nicola A., Do P., “Quella strana fabbrica di saperi che produce solo precari” in Posse, Il Lavoro di Genova, ManifestoLibri, 2001]. Beyond our political work in the university we decided to occupy a space outside of the university. The basic thinking was that the university is a productive space for students who are already workers inside it—they produce knowledge and cooperation that is not recognized. At the same time, students are productive outside the university—they do precarious work and they deeply use their knowledge outside the university. So, there is a strict connection between these two spaces of production: even in those universities that seem bound by their campuses, actually the border collapsed in the face of a strong overlapping between the university and metropolis. So, we occupied a private space with undergrad students, PhD students, and precarious workers of the 3rd sector – to transform it into a free, independent one. We occupied a space immediately outside of the university, a student district that was at the same time the object of a huge gentrification process, and was inhabited by migrants and artists too. We were in the middle of the material production outside the campus, but with a strong connection within the university. In fact, we were in the social center we called ESC, an autonomous atelier, (Eccedi Sottrai Crea – Exceed, Subtract, Create), but at the same time occupiers animate different autonomous assemblies in most of the colleges of the university. In this sense, we always have a tight connection and exchange from one space to the other. It was basically aimed to cross the border of the university, to share knowledge in an independent way, and at the same time, to contaminate the academy and their form of knowledge production. CW: Could you say more about the kinds of connections that this social center has created between students and people off-campus—migrants and precarious workers? How have the informal networks of cooperation and community amongst migrants and workers connected with student organizing through that space? Claudia: There are two levels of the discourse. One is related to the students inside and outside the university, and inside and outside ESC. The other is about migrants, because access to the university is closed for most of them, but, at the same time, they are medium or high skilled: often they have a degree, but it is not recognized in Italy. So, there is always a gap between these two conditions of precarity of life. The connection between students and migrants takes place mainly inside ESC. But, we always try to build up activities and discussions even in the university, about immigration laws and migrants’ work. In ESC, we offer a front-office of free legal help for migrants and a free Italian language school where we do not ask for money, documents or Visas: these projects are led by undergrads, PhD students and social workers. At the same time, we try to involve migrants, who find help in ESC, with our activities in the university. For example, we had a course of self-education about the post-colonial condition, borders and knowledge production where migrants were the researchers inside this course. Moreover, we have completely reversed the role of the educator and the educated. During 1st March of 2010, we organized a “Lesson of alien illegality” in front of the Parliament to protest against both the reform of education and immigration: refugees from Afghanistan or other countries and illegal alien did a public lesson about their condition in Italy. 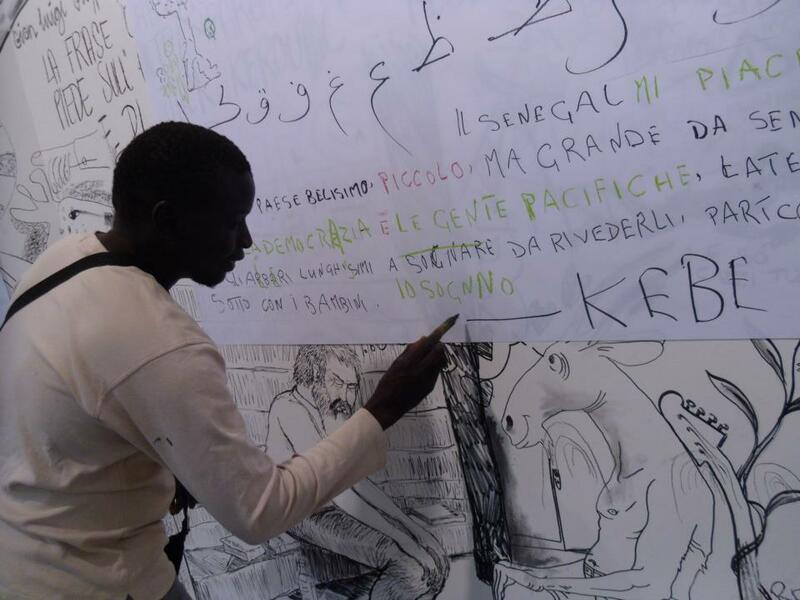 Then, a recent example of this crossing border organizing could be the Draftmen Congress [www.solidarityaction.istitutosvizzero.it] based in ESC atelier, in cooperation with the 7. Berlin Biennale of Art. 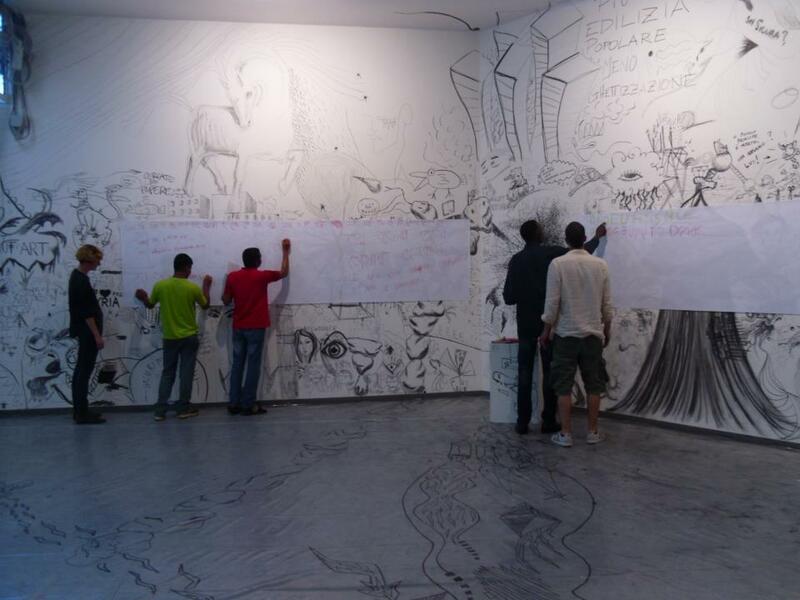 We transformed ESC in a white, empty space, where people could enter, take colors or pencils and draw or write on the walls: in this way the boundary between artist and observer collapsed. We did a lesson of Italian language school on the wall of ESC, using the images and drawings as a process of knowledge production, shared with their teachers who are students of the university. In this way, the learning of language escapes from the vertical relation between teacher and student, the language itself became less of a border, and more part of the same process of redefinition of knowledge and learning. Of course, creating connection with migrants is really hard, because they are not only coming from various countries but they lived in different condition: sometimes they are researchers from Asia, others are careworkers from South America or cleaners from South Africa. So, the redefinition of knowledge production, outside of any charitable approach, is at the core of these kind of projects. Radical organizing in ESC is led mainly by PhD and undergraduate students. One of the most important tools to link ESC and the academy is the proliferation of political debate and creation of activities for and with students and precarious workers. Our bodies always move between the university and our atelier, and that’s very important, because the aim of ESC to cross the border of the academy is always renewed by different persons of various skills coming and leaving, debating and organizing. The first place for radical organizing are the self-managed assemblies: they are autonomous from the political projects of ESC, even because inside the university the condition of students is much more heterogeneous and it’s not politically defined. There are students from other leftist experiences and not part of the autonomy/post-operaist tradition we refer to, so the assemblies are the place of organization of living knowledge inside and against the academy. Then, because of the last education reforms, tuition and fees are much higher than before, so students have to finish the university very quickly. So, ESC is more stable from the point of view of the circulation of people, while the university is much more moveable and differentiated in time. In LUM’s seminars, since 2005, we work on different topics, defining every year a central concept to rethink and analyse transformations of the present: marxian lexicon; the role of passions inside capitalism; gentrification process inside the metropolis; the exploitation of the body inside the biopolitical framework; the relation between property, expropriation, and the common. One year ago we analysed the concept of “tumult,” a Machiavellian figure that links turmoil, revolts with the production of institutions: it is a constituent process that connects together the institutions, new production of norms and the tumult, the revolts: it is not a division between spontaneity and organization, but rather it is a constituent process. The seminar is a place where the academic division between professor and students dissolve, a place of transdisciplinary connection among fields of study and various analitycal languages. We always try to create common knowledge in different spaces in which students are autonomous to decide what they want to study, discuss, and share. CW: What sort of relationship with the university have you worked out through ESC and these autonomous seminars? Do students get credit for doing the self-education seminars in the university? Then, a broader question: seeing ESC and the Free Metropolitan University as a kind of autonomous university—that is not part of the education system and that doesn’t put students in competition for those grades and credits and discipline them as capitalist subjects—how do you view the relationship between this autonomous, anti-capitalist university and the capitalist university? Do you see a kind of ‘engaged withdrawal’ relationship between them? Claudia: The self-education seminars took place inside the university, they are inside and they are against trying to build up common and independent spaces. Briefly, self-education is a tool and dispositif [device] of organization: it’s very important because if we think about self-education outside of the organization of conflict, it just becomes a counter-course or a free seminar, but that is not what we do. People who become involved in self-education understand that it is possible to do politics inside of the university and against the factory of knowledge. In immaterial production there can be independent, autonomous, anti-capitalist politics, able to organize and selfmanage their learning; they are the living knowledge. We have to understand the difference between the topics and issues’ potential either to be conflictive—to be autonomous and to be a tool of organization—or an anti-capitalist topic, at the same time, could be a part of the academy, of the same capitalist production. Self-education is an organizational dispositif. When we do a self-education seminar, we ask for credits inside the university as a sabotage able to balance the power in our favor. “UniCommon. The revolt of living knowledge”, is a network of nearly ten cities that every year do self-education seminars all around Italy. But, in the last two years, the so-called reforms of education are basically destroying and erasing issues and languages. For this reason, self-education and autonomous spaces are much more important now, to fight against the destruction of education and culture. Self-education now is a place of resistance, and at the same time it is a space of creation of common institutions inside of the university. In these common spaces, we try to build up an autonomous university—the common institution of knowledge. On the contrary, LUM’s seminars do not give or ask for credits because it is completely another experiment: it’s really a Free Metropolitan University, much more a space of militant research. So, we try to grasp and develop new conceptual tools to understand the transformation that we are living. Through having all these debates inside the Free Metropolitan University, we also try to contaminate the university itself. The production of knowledge inside the global crisis, I think, in Italy at least, changed completely; the modes of teaching and learning have become much more controlled, disciplined and over-simplified. There is a process of impoverishment, a huge attack to culture and knowledge. CW: With ESC and other movements you’re involved in, how do you define your relationship with the universities as they are being attacked by the state, while also trying to create something different and resist the traditional model of universities? It seems like you have multiple points of conflict. How do you situate your project in relation to those different points of critique—the traditional universities and the state with its austerity measures? Claudia: Of course, the crisis worsened the situation, but even before the austerity measures there was an ongoing process of the destruction of the university under the label of Bologna Process. 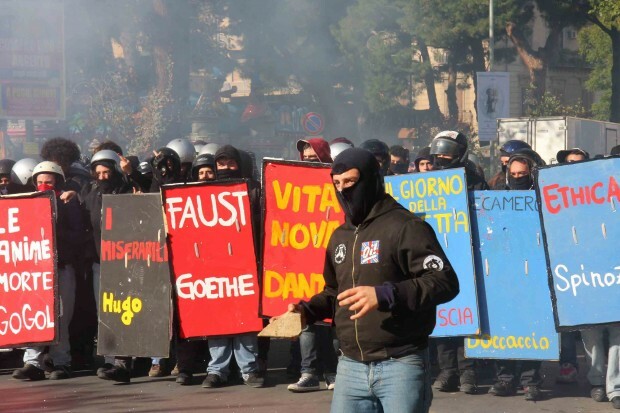 The last movements in Italy, in particular in 2005 and 2008, were basically student movements claiming free education, autonomous spaces, welfare against precarity and a common self-reform of the university. The government attacked us heavily: we were called children, we were being told we were not capable of building up our own lives, not to be researchers, so, we had to migrate or, as the Minister of Welfare told us, ‘you need to do manual work’. It’s just the evidence of their intention to close the university as a space of knowledge production, to discipline and control students, as paradigmatic figure of the contemporary workforce, by building up new borders within the university, they aim to establish which are the preferable figures of labor: precarious, removable, passive and exploited. 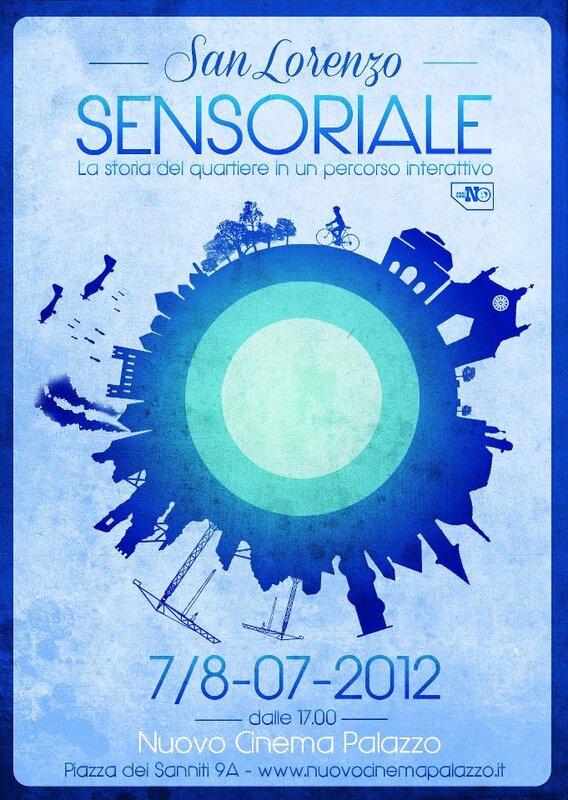 A second level is trying to escape from the nationalistic and eurocentric approach of italian university. So we constantly improve our transnational connections, working with activists and researchers across Europe and Mediterranean space, both sharing radical organizing tools and practices, for example Book Bloc that spread beyond Italy in the last two years. Then, the problem of the fight with the academy is basically over the new borders that they establish using citizenship, debt, language, deskilling processes. We are facing a lack of immaterial production inside of the university. For this reason, we tried to connect with other experiences, like social centers, radio stations, and even projects that involve squats of migrants. One example could be our effort to build up an independent center of study, self-financed by ESC and other social centres, part of the union of factory workers, an independent italian newspaper and associations. Throughout this relationship between students and precarious workers and the factory workers, we built this new experience. It’s an autonomous study center for the common. CW: So, it sounds like having those occupied spaces as a place for people to meet and to have debates seems very important for building connections and coming up with shared political knowledge that can guide organizing. Do you feel like these occupations are happening more often now? Is this a tactic that’s been spreading in Italy? 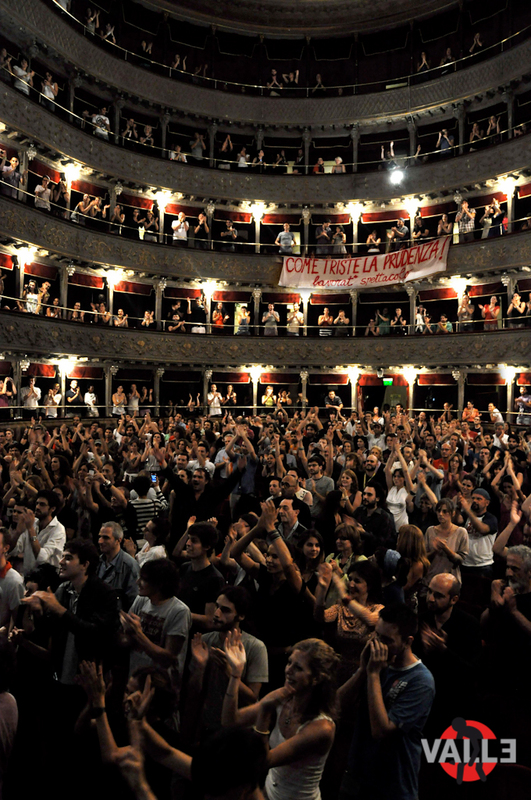 Claudia: In the last year, there were several occupations of theaters and cinemas all over Italy. There is a kind of network of independent spaces for culture. 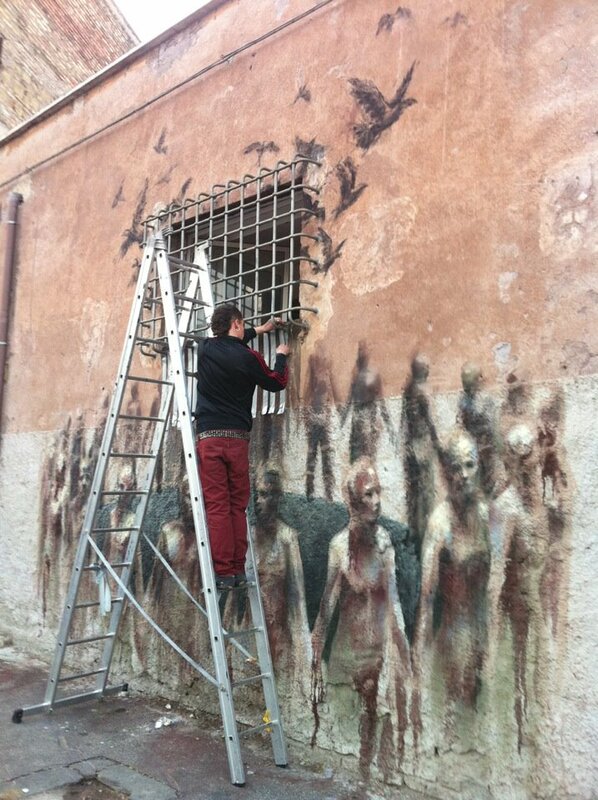 In the past year, there are two examples in Rome that are worth speaking about. The first one is Nuovo Cinema Palazzo, a very old cinema, where the local government recently decided to build a casino there. So, all the population organized—there are even comrades of ESC squatting there, and migrants and even residents of 70, 80 years old, migrants, several artists and care workers. After one year of struggle, occupiers have been recognized as a ‘multitude’ by the same court—as a multitude of people resisting against the casino and as legitimate to take back the place. Now, there are several independent projects: theater, performances, children’s activities, a free room for study—libraries in La Sapienza are open for only three hours a day now, and they are going to be completely closed from September—language courses, spaces for migrants. It’s really a heterogeneous space and we are creating knowledge about ‘what is an occupation of a cultural space?’ What does it mean to, not only defend culture and to resist the attacks of the government, but to create a new way of the production of culture? That’s the main antidote to the attacks of the government. CW: It’s amazing to hear about artists being so politically active. In those occupations, are the artists and cultural workers taking on leading roles in organizing the occupations? 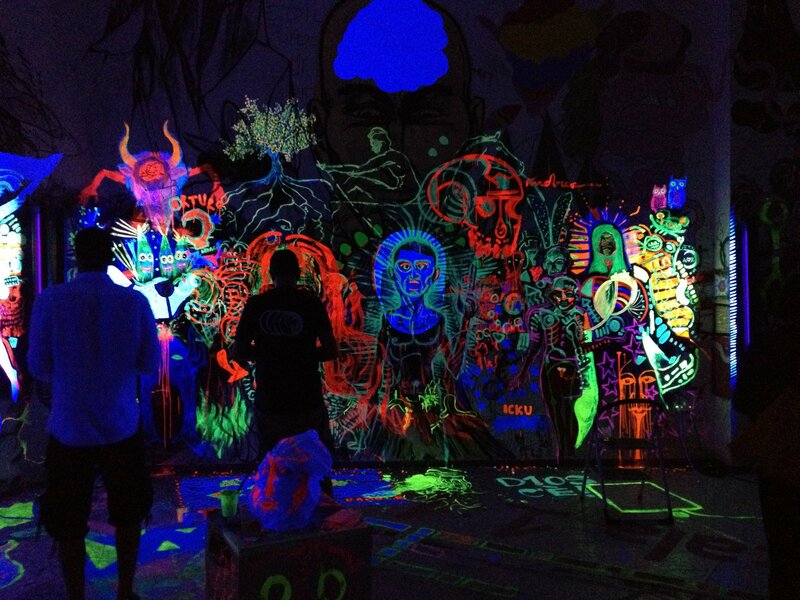 Here in the US, there’s often a division of labor in movements between art work and organizing work. It sounds here like the roles of artists and organizers kind of integrate together. Do you feel that’s been an important part of the movement? Claudia: About the composition of these occupations, they are very heterogeneous and managed by a general assembly that takes place one day a week and they manage all the occupations from the political, theoretical level to the organizational one. In ESC, there is no division inside the space, because we worked a lot in the last ten years to not divide the theoretical production from the practical one. So, we avoid dividing the intellectuals and the people that manage the space: nobody can create a separated assembly, a separated group, or to divide the work inside the autonomous spaces. Of course, above all in the occupied theaters, at the beginning it was very difficult, because some of the artists had often individualistic attitudes and little attitude to build up together a common space. So, they decided to give less importance to the individual, but to create a shared understanding of what kind of discourse we have to develop to understand what we are doing. That’s why they discussed a lot about common institutions: what does it mean to share knowledge—to build up something different? To fight capitalistic production of culture within society? So, they focused on what we have in common: why we are here and what we can develop all together—putting aside our individual status and trying to understand how to multiply our work inside this place and how to address our cultural production with the others in the city and national level. That’s why other occupations of artists and cultural workers took place, from Palermo to Milan to Venice. So, now there is a kind of network that connects these spaces. And we tried on the transnational, European level to enlarge it. So, before going to Frankfurt [for Blockupy Frankfurt – May 16-19, 2012], we did a caravan from Athens to Frankfurt, going through Romania and Serbia and across Eastern Europe, trying to meet all the people involved with other occupations of theaters and cinemas. CW: Could I ask you a question about your own research on migrant struggles? I know there’s a ton you could say about it, but I’m interested to hear how you negotiate the tensions between doing research, being an academic, while also being a political organizer. How do you bring together your organizing work with your academic work? How do you try to connect migrant struggles in the Americas with struggles in Italy? Claudia: I have always been interested, from the personal point of view, about transformation in the Americas, above all in Central America, in particular the border between the US and Mexico. Why? First of all, there are lots of similarities between the Americas and Europe, especially in the last ten years. Simplifying it a lot, the spatial and hierarchical tool in the Americas was the frontier, while in Europe it was the border. In recent years, due to militarization and new forms of capitalistic accumulation we have seen how these two tools, in my opinion, are overlapping, both in the Americas and in Europe. Above all, we are facing it in the last three years, with the global crisis, when the aggressive attack of capitalism shaped itself as an internal colonialism within european borders: the role of Germany in Greece’s crisis and its financial and economical attack is paradigmatic. 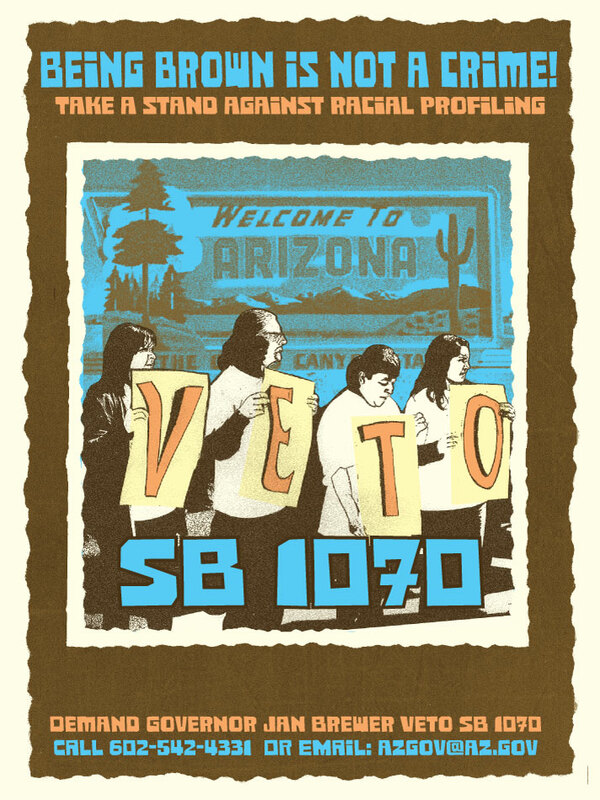 But, I started my dissertation about the border between Arizona and Sonora, with the proposal of SB1070, which is very similar to a law they introduced in Italy: a huge criminalization of migrants inside the national space. At the same time, in Arizona and other states, they are banning Mexican-American Studies, Chicano Studies, and Ethnic Studies. In Tucson, they already started banning them from the high schools. This is a huge attack on difference, on migrants of several generations, and on culture, through an intense racialization process that involve language, skill and knowledge production. I think that here it is very similar—with all the specific differences we have in Italy—that we are facing a huge attack on culture and education. You never find a second-generation migrant in Italy teaching inside the university. Yet, there is a huge proliferation of cultural production, of fictions, of articles, of essays from second-generation migrants in an independent way. The compromise is that my topic in Italy is completely outside of the academy. So, the first compromise was with language—to study in other languages from different fields of study, and to try, from the immaterial point of view, to escape from the organization of knowledge of the Italian academy. Of course, I have adopted a lot the Anglo-american way of organized knowledge, but I was contaminated with the Mexican and the South American one. So, my first fight inside the academy is from the research point of view. I crossed different methodologies, but also different hierarchies of knowledge organization. I think it’s important to provincialize, not only Italy, and not only Europe, but above all the Western knowledge organization. Basically, I am trying through self-education to introduce the issue on which I work inside the university. So, I organized some seminars about the post-colonial condition that I think is really connected with the colonial experience between Mexico and the US, and all the theories of internal colonization and border studies. In Europe, there is a wide definition of borders now, the internal ones: the modification of the Schengen agreement—it can be suspended for six months—means to divide North and South Europe. It means that the knowledge production, the sharing, and the definition of what a migrant is, is really influenced by all these transformations. Finally, I try to establish connections with professors to use the large spaces in their courses. Of course, I have a scholarship, otherwise I would never support free work in the university, even for a few hours. So, I try to enlarge the space of debate about these topics, from a political point of view, teaching and sharing with students what a border is, how a border is defined inside our society, and to establish connections between the US-Mexico border and the upcoming borders in Europe and even the old ones. It’s interesting how we can find lots of similarities in these spaces, and how students realize how the reforms and laws that are being approved in Italy were addressed to create new borders and to define what “a migrant is”, a stigma marked on them: now we are once and for all migrants, above all european students inside the same Europe. Paying homage to his previous and better work, Reitman’s new comedy is marked by one-idea story, sporadic humor that lacks wit, and cheesy special effects.